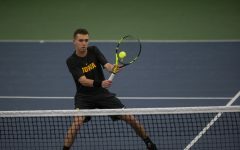 Iowa travels for a road contest with Evansville, a team that’s made great strides since last year. Iowa pitcher Jack Dreyer walks back to the mound during a game at Duane Banks Fields on Wednesday Apr. 25, 2018. 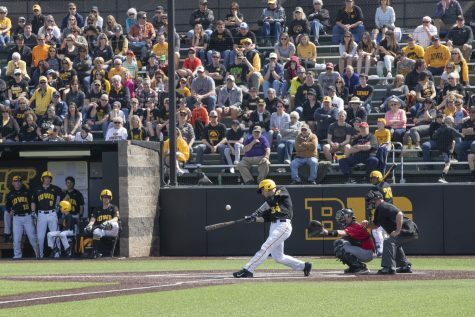 Last season, Iowa swept Evansville in a three-game series at Banks Field. 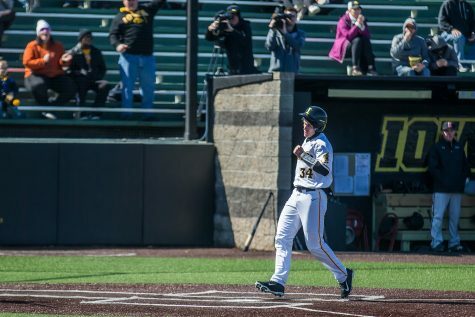 The Hawkeyes outscored the Aces, 22-9, in what aside from the final game wasn’t a close series. 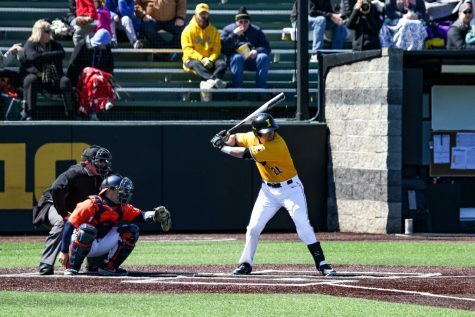 Fast forward to now, and Iowa head coach Rick Heller said this Evansville squad is much better. Evansville posted a 12-39 record last season, and pitching was an area in which the Aces struggled. Eleven pitchers appeared in 16 or more games, and of that group, none had an ERA less than 4. Nine of those had an ERA of at least 5. This year, however, different story. Adam Lukas was one of Evansville’s reliable arms last season. 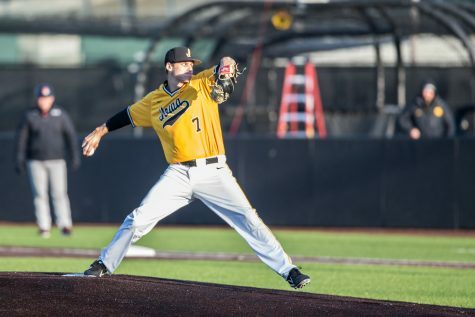 In an attempt to avoid a sweep last year, the Aces threw him in the final game. 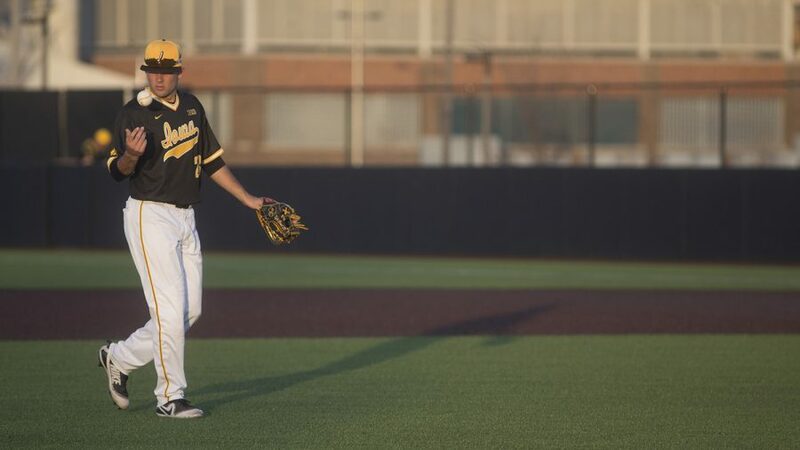 He pitched well, lasting five innings and allowing but 1 run on 4 hits while striking out 6. 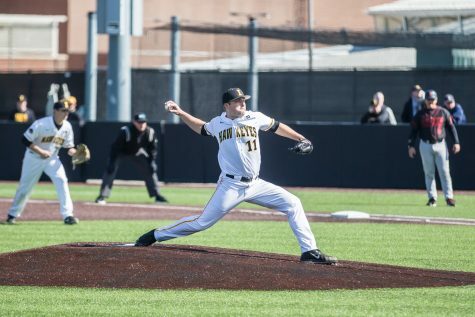 According to Baseball America, Lukas struck out 9.3 batters per nine innings last season. This season, he’s appeared in three games, striking out at least five batters in each contest. And just like Lukas, the Evansville team as a whole has improved since last season. 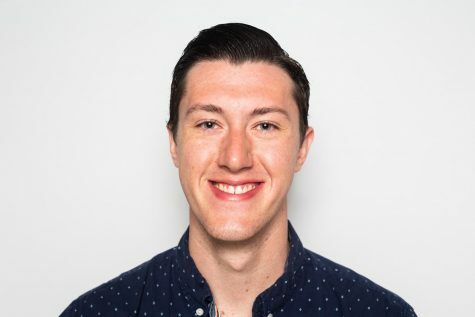 The Aces have a .500 winning percentage in 10 games this year — a jump that more than doubles their .235 winning percentage in 2018. 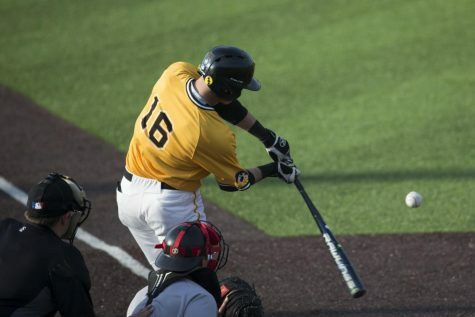 Heller pointed to Evansville’s bats as another area of improvement. “They’re way better, way tougher outs, way better athletes,” he said. Nate Reeder has led the Aces’ charge offensively. The senior has a .333 batting average and 12 hits — both tied for team-best marks — and he leads Evansville with 3 home runs. Against Mercer, Reeder finished 2-for-4 with 2 home runs and 3 RBIs. Later in the season, when Evansville faced off against Boston College, he went 4-for-5 with an RBI. 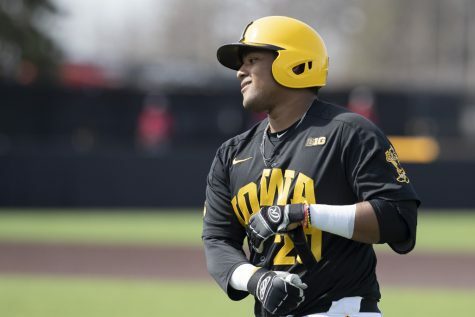 Countering Evansville’s hot bats, Iowa will be without its top hitter. 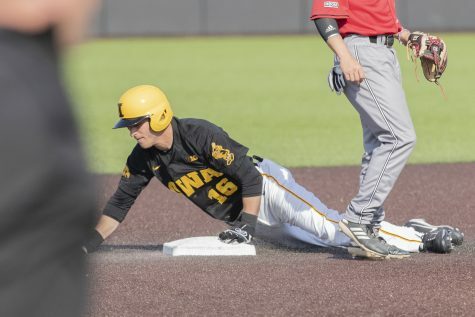 Tanner Padgett, who leads the Hawkeyes with a .395 batting average and 15 hits, is out with a strained hamstring suffered against Oklahoma State. 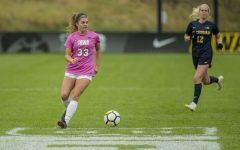 Heller forecast him to miss roughly a week, and he was optimistic he’d make a quick return. He’s not the only Hawkeye missing time, either. 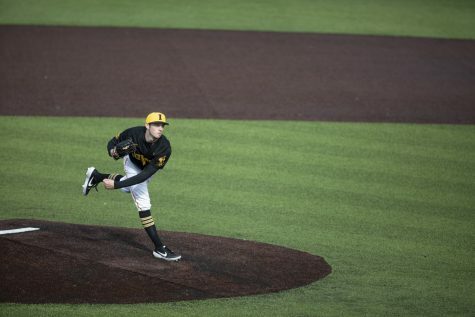 Pitcher Jack Dreyer went down with injury against Hawaii, and Heller aimed for a two-week rehab for the southpaw. 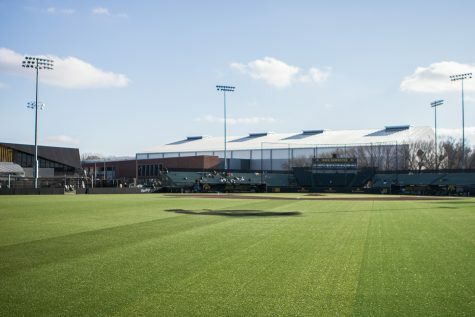 Dreyer’s absence means the rest of the Hawkeye pitching crew must be on its A-game come Saturday. Cole McDonald will take the first of two Saturday contests, with Cam Baumann taking the second, and Grant Judkins will round out the starters for the third and final game of the weekend.